All the organic material dropped off at the Lismore Recycling & Recovery Centre and what we collect from kerbside organics bins is turned into BIOcycle compost and mulch for local farms and backyard gardens. 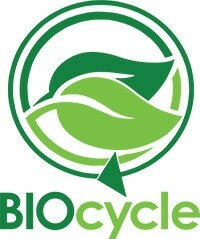 The certified organic BIOcycle compost is magic for any garden and is suitable for use by organic farmers and producers. We produce several compost and mulch products which can be purchased from the weighbridge at the Lismore Recycling & Recovery Centre from 7am to 3.45pm Monday to Friday. All of our compost and mulch products are certified organic. (BFA Registered Product 11538AI). For more information phone 1300 87 83 87. Please keep children inside your vehicle at all times. Beware of heavy machinery and trucks while on site. Products have been composted for a minimum of 12 weeks before sale, however not all weed seeds will be destroyed. Keep the compost and mulch at least 5cm away from the base of all plants. Minimise the need for watering. Will assist in reducing weed growth. Encourages earth worms and soil microbes. Protects plants from hot and cold weather. Will assist in minimising soil erosion. There are health warnings around the use of mulch and compost. For information please read our Compost & Mulch Safety Guide.